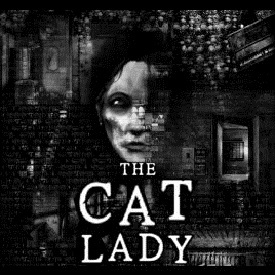 The Cat Lady is a horror adventure game developed by Harvester Games and published by Screen 7. 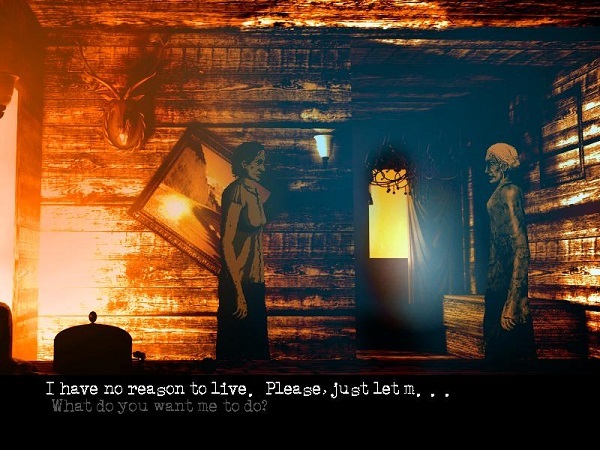 The unique horror title focuses on the death of Susan Ashworth, and the journey she’s forced to take prior to her eternal rest. The title is found on Steam, and was an indie title that was pushed through the Steam Greenlight Program. 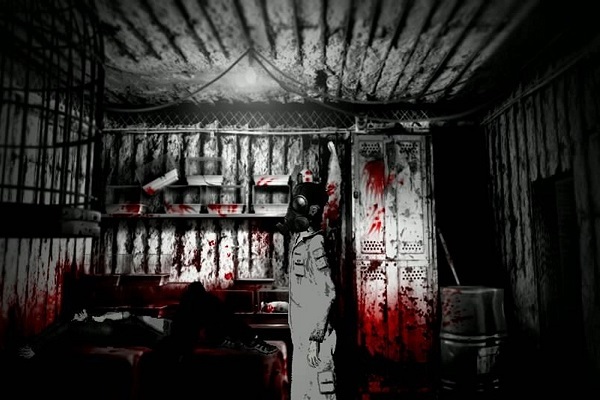 At a first glance, most people might be put off by the appearance of the game, the name that the developers have chosen for the title, and the fact that it’s a horror game. I’m a firm believer in the fact that the monsters and creeps that exist in horror games will fly out of my screen and live in my home. But The Cat Lady is a different specimen of the Horror genre. It doesn’t scare players with cheap spook tactics, though it does employ those every once in a while. The game provides a very empathetic story, one that will undoubtedly touch a few of the players in a special way. This combination with unique graphics and a simplistic gameplay model creates an atmosphere that will leave you contemplating your life and all the frailties we live with. Susan Ashworth is a middle-aged woman with a dull life, a small apartment, and a lack of reason to live. Besides her cats, who are all strays, Susan’s life is meaningless. She has no friends, no family, nothing to live for. Choosing to end her life instead, she swallows a bottle of pills that was given to her from the doctors. Knowing the end was imminent, she writes a letter, detailing everything she feels, and why her life is so unfair. She soon feels a bit drowsy, and falls into an unending slumber. Odd thing is, Susan Ashworth wakes up. She awakens in a field, one that seems beautiful at a glance, but holds something much more wicked. This surreal canvas that Susan Ashworth strolls upon belongs to the Queen of Maggots, a woman who holds the power in the realm. She informs Susan that her journey is not over, and that she cannot die in peace just yet. She now has to kill 5 Parasites, different psychopaths in the living realm that has been deemed a nuisance in the Queen of Maggot’s eyes. Her journey will reveal something about her, something that she hasn’t known in a long time. Gameplay, as mentioned before, is very simplistic. You use your left and right keyboard keys to control movement, and your up key is to enter or interact with items or scenes and your down key is to access your inventory. The Space bar is there to speed up any of the dialogue you encounter. What most people will not expect from this game is that it is very dialogue heavy, meaning that if you don’t enjoy reading what you’re doing, you’re better off looking somewhere else. At the start of the game, you’re introduced to Susan Ashworth and her life. At the time of her passing, she only has her cats. Depressed and lonely, her choice to kill herself led to some difficult complications. An old lady in an alternate universe named Queen of Maggots tells you, Susan, to kill 5 psychopaths in the realm of the living, which she aptly names “Parasites”. Your goal is to take each of these Parasites out, any way possible. You’ll find that Susan isn’t as frail as she seems. Her outwardly appearance may seem weak and sickly, but she has a hidden strength that she utilizes to fulfill her purpose. During your quest, players will be accompanied by Mitzi, who becomes Susan’s friend. She’ll help guide you along and fulfill all the tasks that you need in order to succeed. The puzzles presented in the game are well though out. Every item you need to continue on can be found in other parts of the level, and utilizing them is easy. It takes a while to see any change in Susan, but the transition is there. In the beginning, Susan’s personality is quite depressing and inhibited, but as she catches her stride, she slowly gains confidence in herself and becomes more strong-willed. The Cat Lady can’t be described as a particularly challenging title, but I never once thought that this game was easy. 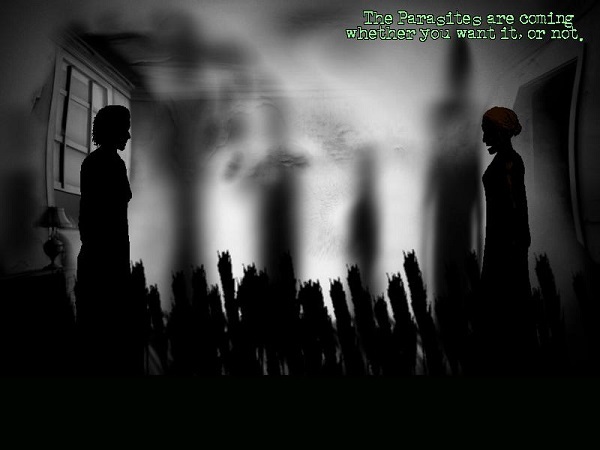 The game requires thinking, and in the process, you’ll be scared out of your wits when it comes to particular scenes. The entire atmosphere the game provides keeps the player on their toes, and one of the things I really liked about it was how the camera angles would change as you moved from one scene to the next. Something as simple as that really created a fear factor for me that was unlike any I’ve ever tried. One moment I’m looking at a huge panoramic shot of Susan walking, and suddenly, I’m close and intimate to her. It’s times like that where I have no idea what might be lurking behind the shadows. The game is visually appealing, but is nothing spectacularly impressive. It is unique in its own right, similar to magazine cut outs pasted in a huge canvas. It fits perfectly for the game, however. The game is predicated on a surreal atmosphere, one that can’t be replicated with 3D imaging. The backdrop is layered and very harsh, set by the color choice that depicts death and sickness. 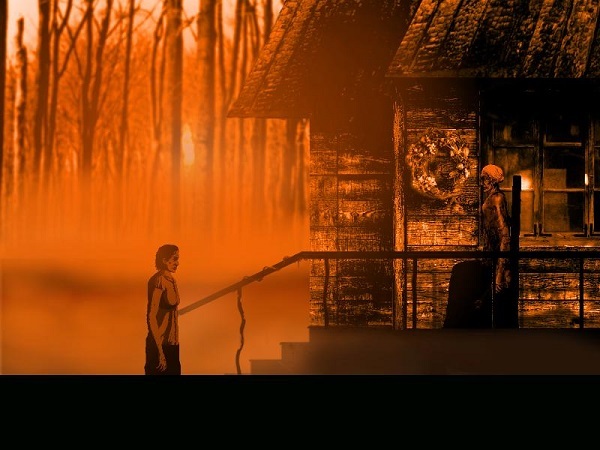 The mix of colors in the beginning scenes are a mix of gold hues and brownish tints, but as the story progresses into the darker scenes of her journey, black and white become the dominant colors, with splashes of red coming out. This mix really sets the tempo for the game and kicks the game off with the fear factor already set in. The voice acting in the game was a bit of a hit and miss. In most cases, the voice acting was superb, especially the voice for Susan Ashworth. In the beginning, her voice was a little shrill and high pitched, since she was afraid and tired of life, but as she moves past that and becomes more aware of life, her voice changes, slowly but surely. She gains that sense of confidence and her voice reflects that. In other cases, the voice acting seemed very off. The sound was completely different and it seemed like it was recorded over the phone or some other chat program. The music was superb though. The music really set the atmosphere in scenes where tension was key. I felt my heartbeat rising as I walked into certain scenes, just because of the music. All in all, the game was amazing. Besides a few minor setbacks, I can’t find any reason why anyone shouldn’t try The Cat Lady. Even for someone like me, who hates horror games, this title surprised me. 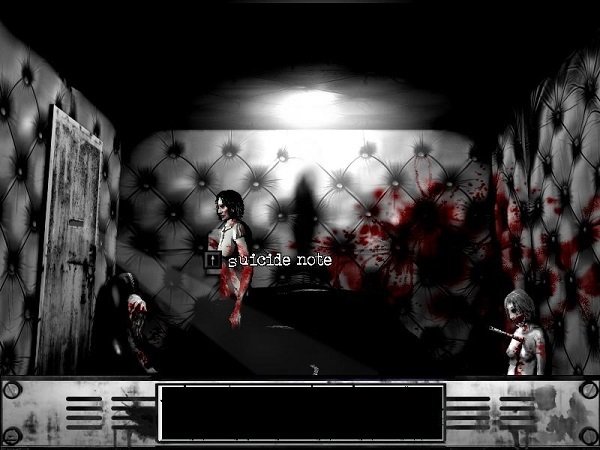 Besides being a horror title, the game touches on a myriad of themes that are relevant to anyone who tries the game. That’s what is so unique about this game to me. It touches people on so many levels that you really become aware of what Susan Ashworth is feeling and why she feels like this. If you were on the fence about this game, please stop and consider getting it, because it’s worth the price.